First up, brendandawes.com, the online home of Brendan Dawes. Brendan has been known as an early adopter who pushed a lot of boundaries using Flash, and has since expanded into general interaction design. 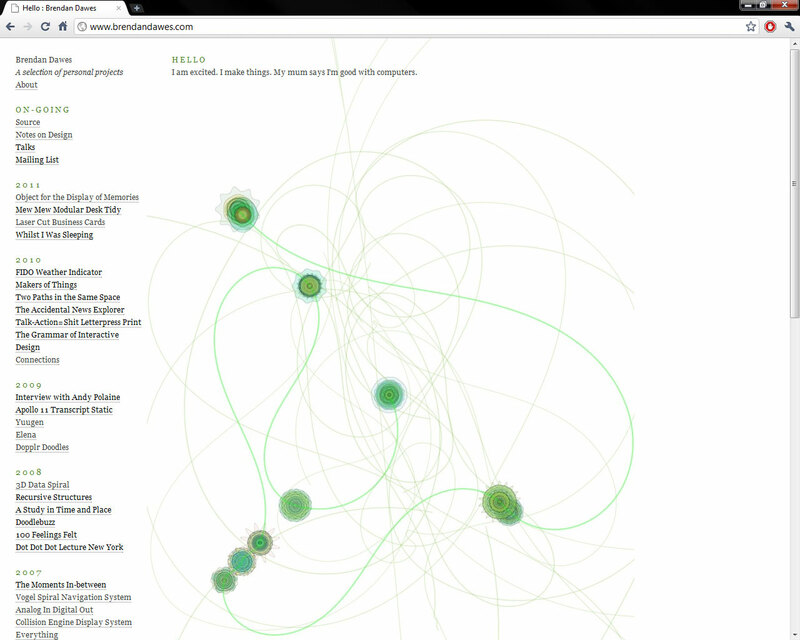 When I first came across his work, it was on the previous incarnation of his website- a Flash heavy design that was more interesting to play with than useful for finding anything specific. This newer version is almost the opposite. 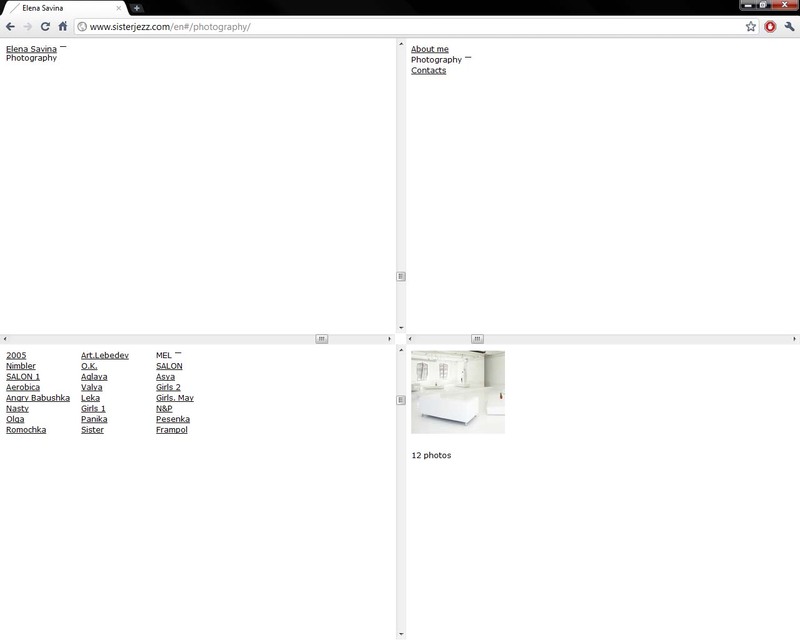 Using Indexhibit, the layout is super simple but totally intuitive. It is very easy to locate a specific project, but also satisfying to browse around. There is no compulsion to over-categorise, and the personal touches (the coloured headings, and the background design on the homepage for example) are subtle enough to perfectly offset the simplicity of the general layout. 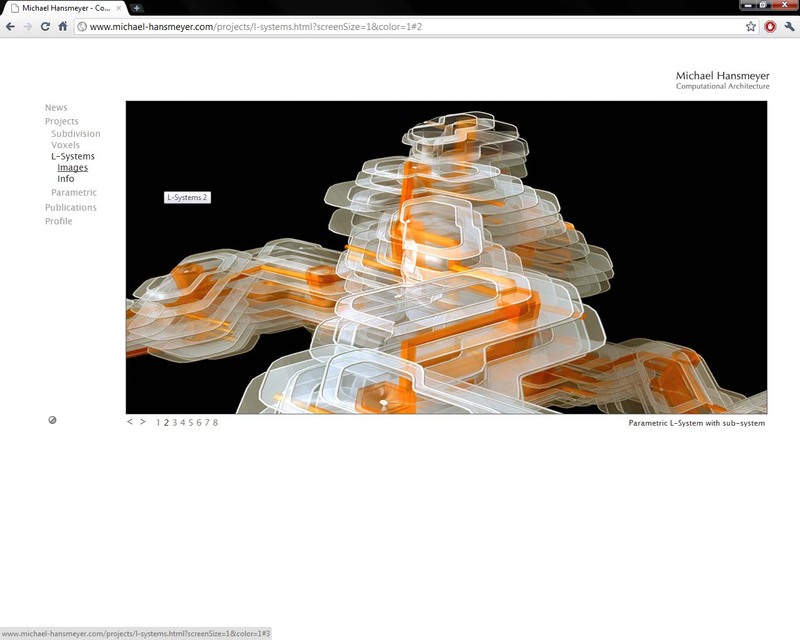 Next up is Michael Hansmeyer’s site, showcasing his work in generative architecture. There are a couple of nice touches here; the switch to change the colour scheme is neat, and the layout is crisp and modern. The categorisation of projects is OK, although the use of a central panel for content is less than ideal for text, in my opinion. It simply does not make best use of the available space. The images, however, are stunningly presented and more than make up for any other issues. The last site I’m going to mention for now is the website of the (I think) Russian photographer Elena Savina. This was designed by Three Hundred Eighty Ten who I wrote about previously, and it shares the same… unconventional… approach to web design. This is really easier to use than it is to explain, but essentially scrolling one of the four panels scrolls the other three in different directions. A nice touch is the lightbox style photo galleries which also use this sliding idea. Quite bonkers, but unforgettable. This entry was posted in College, Freelancing Skills unit, research by Kyle. Bookmark the permalink.